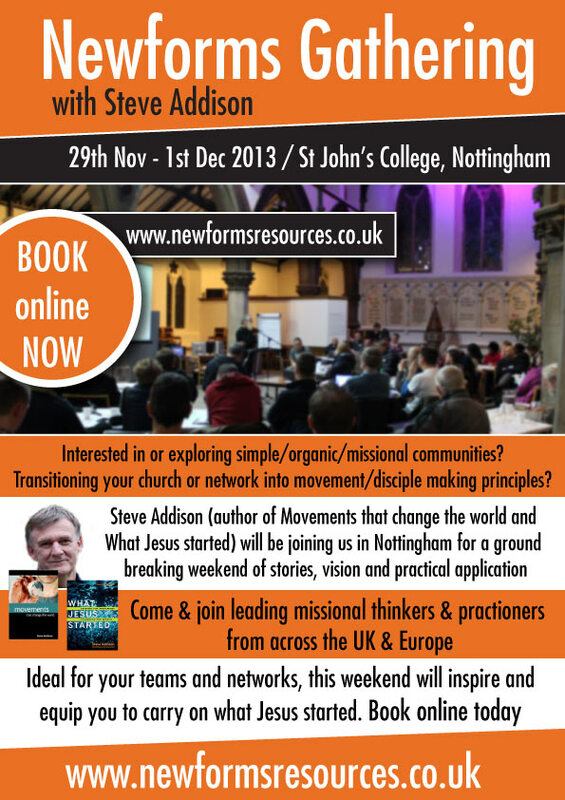 Don't miss the opportunity of hearing Steve Addison speak at the Newforms Gathering in Nottingham, 29th November to 1st December 2013. It's not too late to book, though places are going quickly. 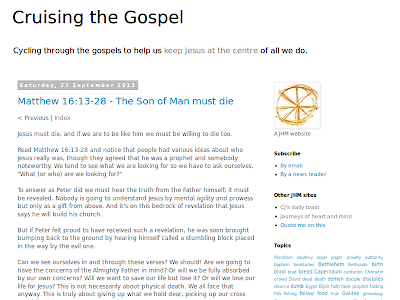 Steve writes and speaks on missional movements, his books What Jesus Started and Movements that Change the World are excellent and have made quite an impact. Steve has been tantalizing me with tales of this book for years. He has talked to me about the content on numerous occasions. The chapters are distilled from years of experience and thought, and the final product has not disappointed. Practitioners and thinkers with a passion for mission will want to read and reread this book. Book your place at the Nottingham meeting. 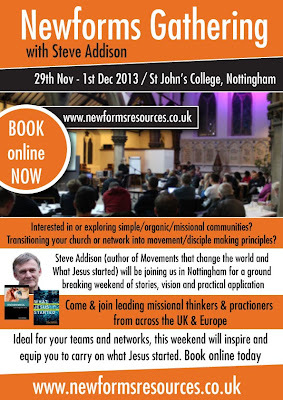 Right click the Newforms Gathering flyer (picture above) and download it to print and give to friends that might be interested. Buy one of Steve's books (What Jesus Started, Movements that Change the World) and read it. Visit the Newforms Resources website to see what else is happening.